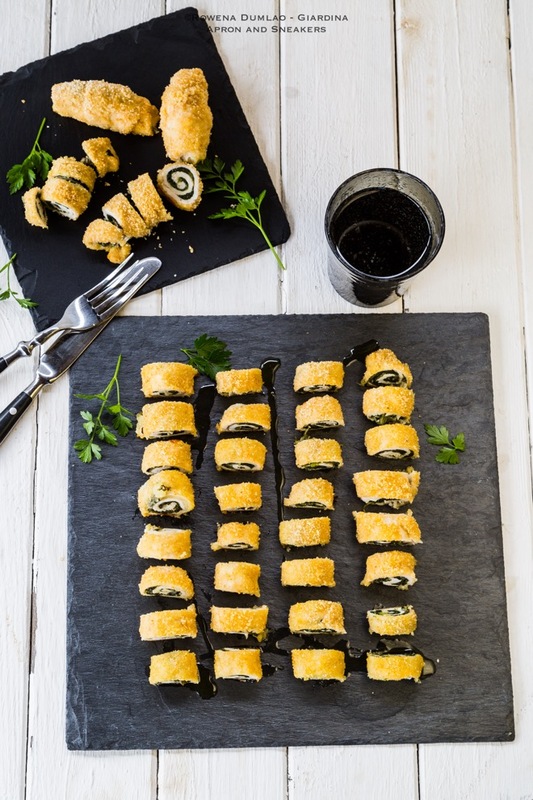 Involtini, roll-ups, pinwheels - they come in different names but there's only one thing that makes us love them. They are delicious! If you have any thinly-sliced flat ingredients like aubergines, zucchini, ham, fish or any kind of meat, spread anything on it then roll. Fry, bake or sautè them then smother them with sauce. Flavors depend on the ingredients that you choose of course and when you choose well, you will hit the jackpot. 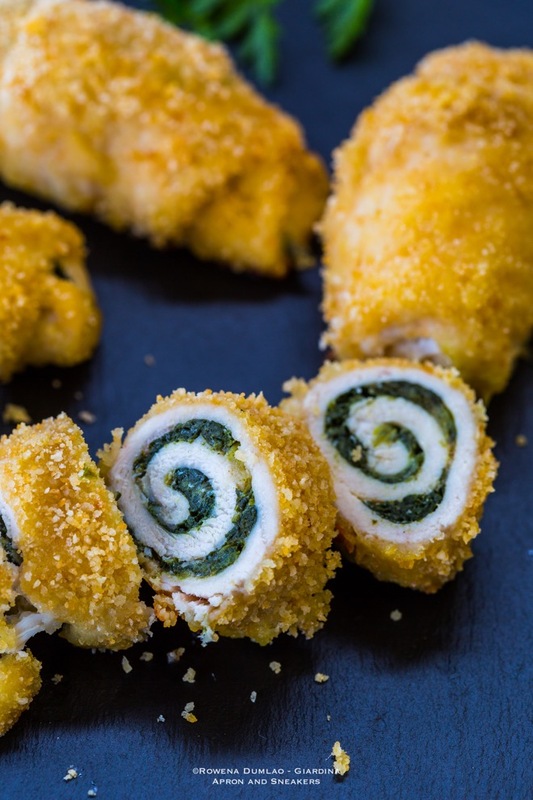 Sticking to the healthy aspect of these Baked Chicken Rollatini with Spinach, I used thinly-sliced white chicken meat as the base. That way, we get the protein that we should get from the meat minus the unnecessary fat and calories that we don't need. If you ask your butcher to make them as thin as possible, then the better it is because it is easier to fill up and roll. That way, you also get a good balance of flavors from both the chicken and the filling. For the filling, sautèed spinach works perfectly with the chicken plus a reasonable amount of two kinds of Italian cheese. Sprinkle some grated Parmigiano Reggiano or Parmesan then add some chopped Mozzarella. To coat them with whole wheat breadcrumbs, you will need them to stick to the chicken. Normally, eggs are used but this time, to keep it healthy, I coated them extra virgin olive oil first before rolling them on the breadcrumbs. Then put them in the oven. Bake them, don't fry them. Our bodies can deal with them better. 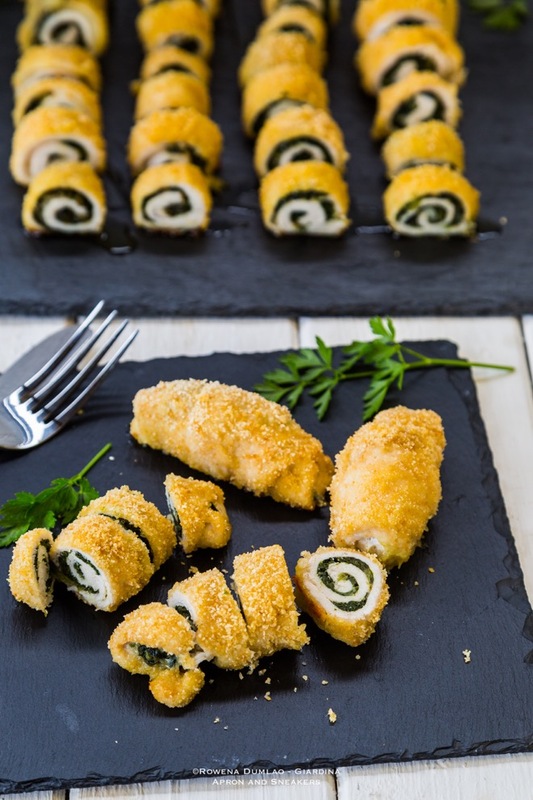 Chicken, Parmigiano Reggiano or Parmesan and spinach are perfect partners on the plate. They complement each other's flavors plus all three are healthy. Parmigiano Reggiano is not just any other kind of cheese because it is very rich in calcium. In fact, in Italy, it is one of the very few things that pediatricians prescribe to the babies their first solid intake. Both my kids grew up with them and it is still one of the healthy snacks that they have. A wedge can give much health benefits both for the little ones and adults. 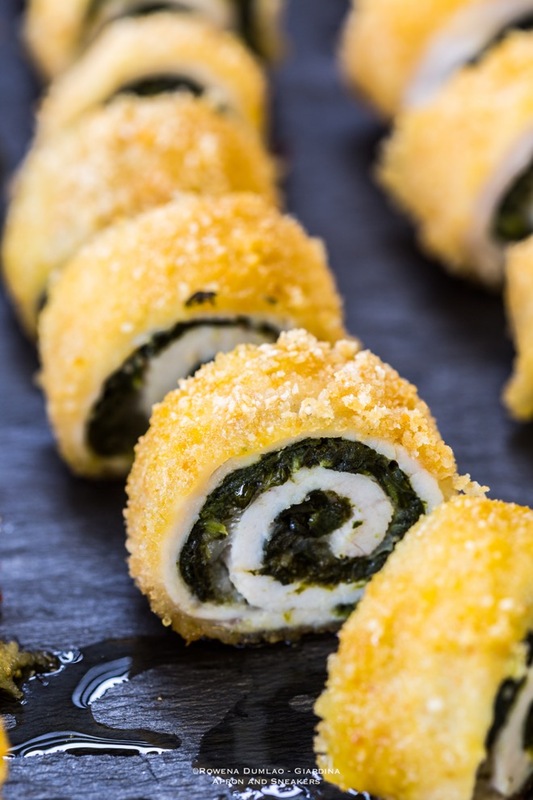 For the Baked Chicken Rollatini with Spinach recipe, you can get it at Skinny Ms. where I create recipes. It's a site about healthy living with tips on how you attain a healthy life and loads of healthy recipes that are easy to follow. You can also check out my Profile Page there for more healthy recipes. Enjoy and have a nice day!